Layne Staley’s broken foot X-Ray once became an Alice In Chains Tour Shirt, Jack White once posted His Gory Finger Surgery Video online. 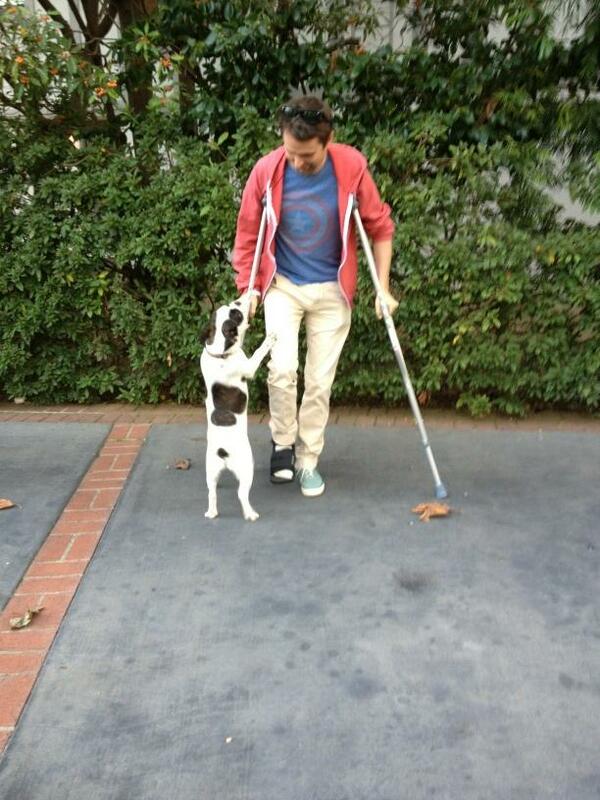 The latest rock star injury update comes from Matthew Bellamy of Muse, on November 29, 2012 in the midst of a tour, he sent out this tweet. 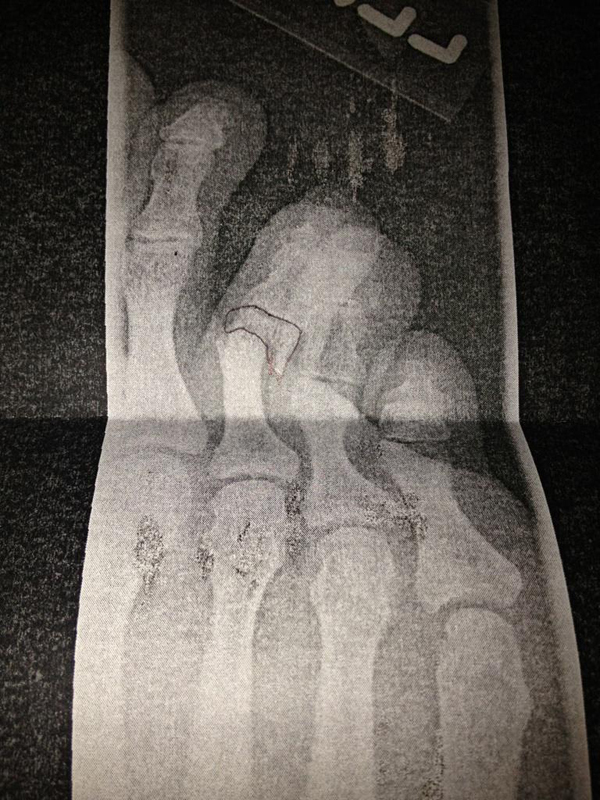 Like Staley and White, Bellamy included evidence of his injury by posting this X-Ray photo of his broken foot in the tweet. He didn’t specify how he broke the foot but he included this photo of himself on crutches and broke the news of some tour dates being cancelled.